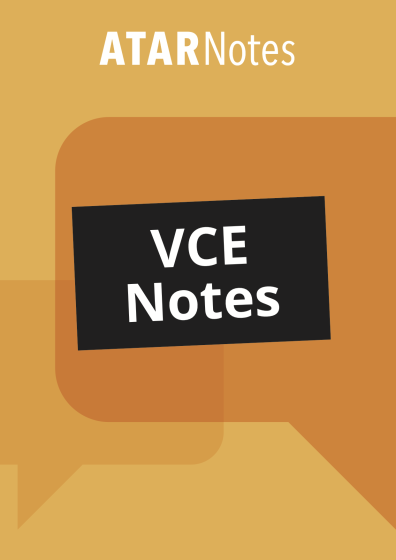 VCE Study Guides - ATAR Notes Complete Course Notes and Topic Tests! The ATAR Notes range of VCE Study Guides feature some of the most used publications amongst Year 11 and 12 VCE students. Our guides feature two major ranges of publications. Firstly, there’s the ATAR Notes Complete Course Notes. Secondly, there’s the ATAR Notes Topic Tests. The ATAR Notes Complete Course Notes cover every aspect of the study design in far less words than a regular textbook. They only cover content that’s examinable, and omit content that is not necessary for students to know. Students love this because it saves them time – VCE’s most valuable commodity. The Notes also go beyond just the content, in that they include tips, insights, and advice from the author. Sometimes, doing well in VCE is more than just ‘knowing’ the content. Students also need to know what examiners look for. Such insights are rife throughout all of our Complete course notes, meaning students not only save time, but they save marks as well. The ATAR Notes Topic Tests are the ultimate source of helpful VCE practice questions. Each test within our Topic Tests contain both past exam questions, and questions that haven’t been seen before. This means students can test themselves before SACs and exams with the perfect combination of question types. They also contain detailed solutions that go far beyond just answers at the back of the book. Instead of simply giving students an answer so they can check if they’re right or wrong, the Topic Tests explain answers step-by-step and help students build their conceptual and strategic understanding of their VCE course. Practice questions allow students to become more familiar with the VCE examination style, and less stressed as a result. Detailed solutions allow students to know exactly what they should write, and how they should be writing it. 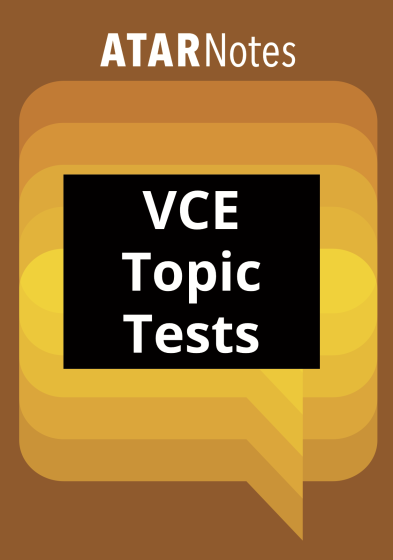 The ATAR Notes Topic Tests combine both of these features: that’s why they are the ultimate VCE resource.